A reduction linocut print is a multi coloured print created through the carving of a single lino tile that is printed multiple times. 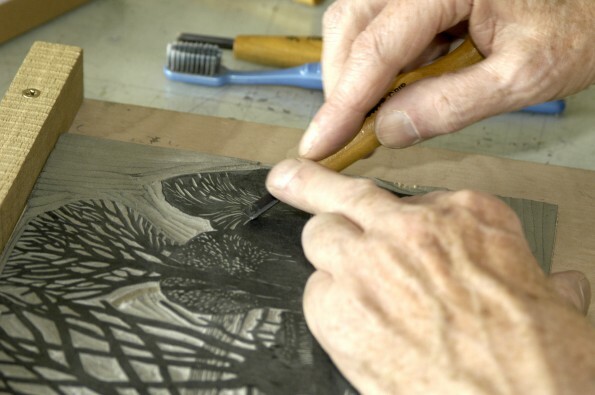 This workshop will cover the importance of design, good carving techniques and how to print your reduction print with a press. You will be amazed at what can be achieved!